Janette turned 30 this year and to celebrate she treated herself (and me!) to a weeklong vacation in Hawaii. While we were in Maui, we went to the Old Lahaina Luau and dined on the best Kalua Pig I had tasted in years. It was phenomenal! So tender and juicy…I needed to find a way to make this at home. 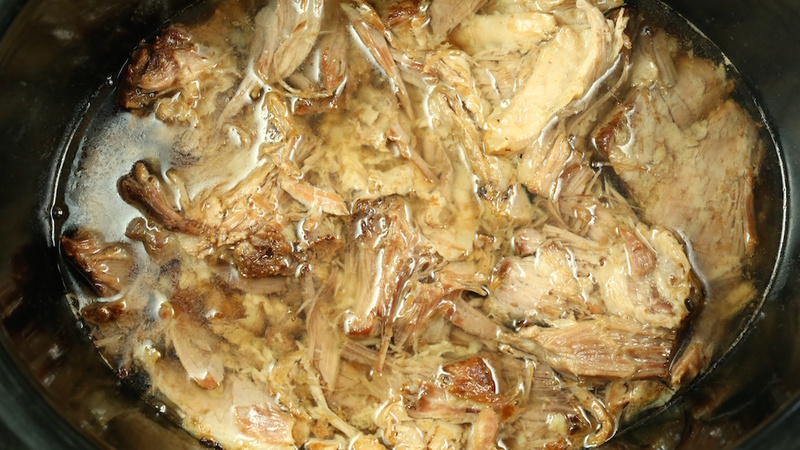 If you aren’t familiar, traditional Kalua Pig is cooked in an imu (an underground oven). Since I live on the Westside of Los Angeles with no grass or anywhere to put an underground oven in sight, a crock pot was the next best option. 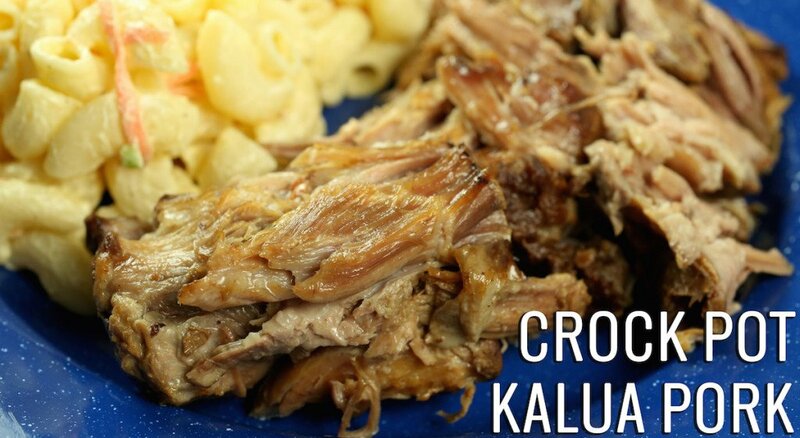 This Crock Pot Kalua Pork recipe relies heavily on the flavors of the meat to keep it juicy and give it flavor, so make sure you start with a nice boneless pork shoulder cut. The liquid smoke will give it a hit of smokiness as if it were cooked in the imu. We made sliders, nachos, and even pizza with the leftovers. 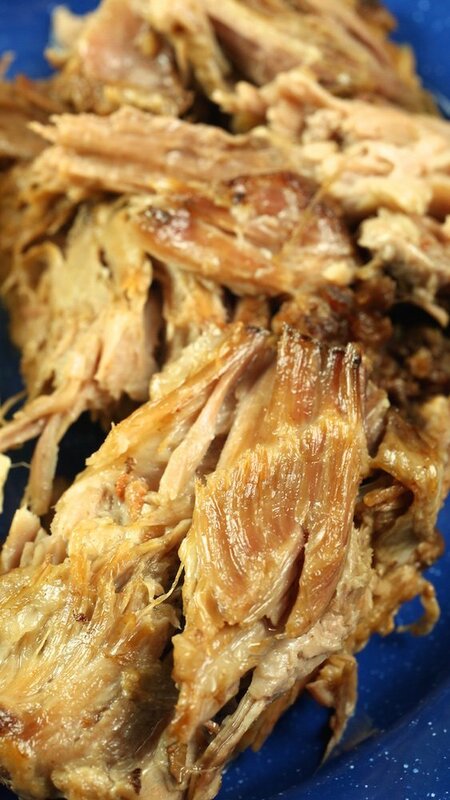 Kalua Pork is the gift that keeps on giving! Traditionally, this pork would be served with rice. I don’t eat much rice so I skipped that and instead served it with Hawaiian Mac Salad. 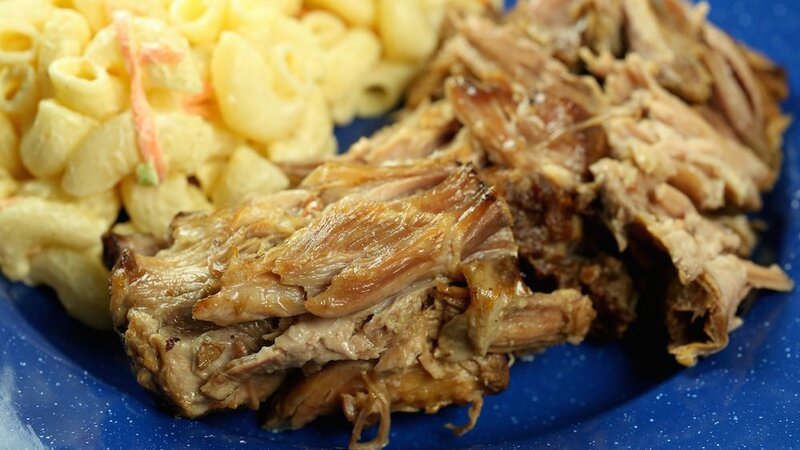 Place your pork shoulder into your crock pot. Take a sharp knife and make several 1-2 inch cuts across the top of the meat. Pour Liquid Smoke over the meat into the deep cuts. 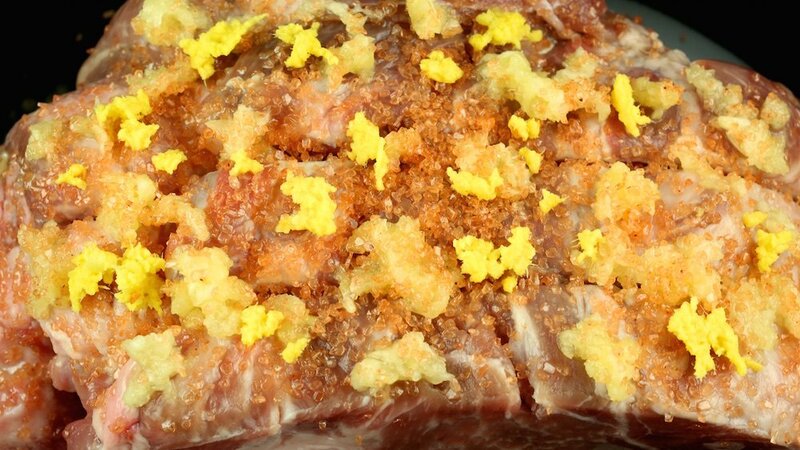 Sprinkle minced garlic, ginger and the Hawaiian Sea Salt over the meat and use your hands to rub it all in, making sure to get some into the deep cuts of meat. Put the lid of your crock pot on and set to “Low”. Cook your pork for about 8-12 hours. Check the temperature to know when it is ready (160°-190°). omg omg!!!!!! I made this last week . We have been to Maui and enjoyed all the wonderful local flavours of the island. We discovered “fish tacos” and could not get enough!!! Thank you for all the great recipes? or should I say , “Mahalo”??? Thank you for the kind words, Jaci! Maui is truly a special place. We actually didn’t eat any fish tacos this visit, but we’ll make sure to on the next trip!